A man was let off a charge of stealing around $180 worth of groceries because he said that life on a benefit is hard. This poses a number of questions for me. Why has this petty crime made headlines? 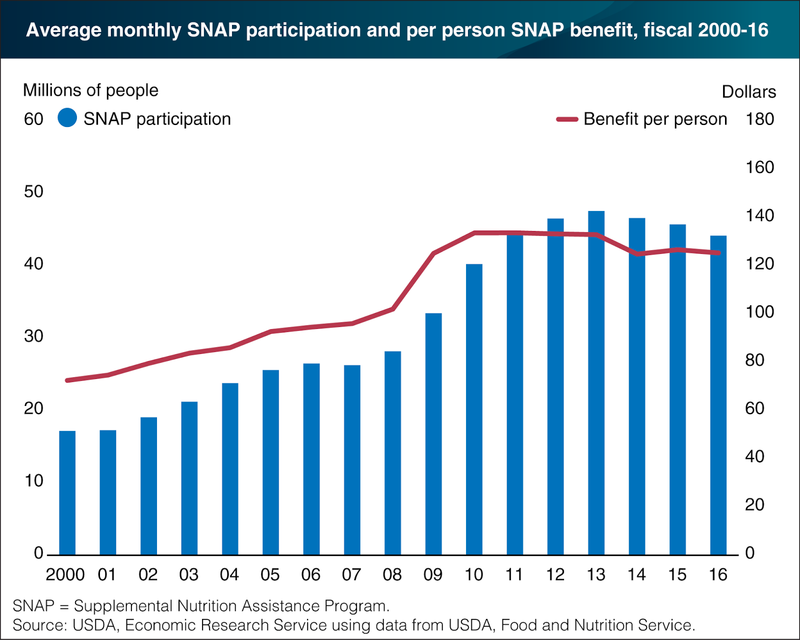 Is there still a moral discomfit about beneficiaries biting the hand that feeds? Would someone on the minimum wage who claimed financial difficulty be let off? If life on a benefit is hard, isn't the better reaction to try and get off it? Will this dismissal of a crime encourage more people to put up a defence of "life on a benefit is hard"? Why didn't the offender go to a foodbank? The student allowance - which was paid at the same rate as the unemployment benefit - is about to increase by $50 per week. There is a suggestion from National that, along with the first year free tertiary education, an incentive will present for some to swap 'benefits' without a genuine motivation to study. Well, I dressed that up nicely, as did the spokesperson Paul Goldsmith. He was being interviewed by a disbelieving Guyon Espiner who said this was a most cynical view. If it had been me I'd have conceded the point, but maintained that we are dealing with Labour's idealistic and naive view. The truth lies somewhere in between. 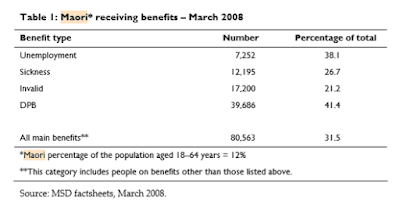 In the past data showed that when the invalid benefit was paid at a higher rate than the sickness benefit there was definite migration to the former. Mr Goldsmith might also have talked about the pressure that his government had put on work-capable people to find jobs. A year's break from that, along with a $2,600 bonus might be very appealing. I doubt this guy is a good fit for a feminist government. As part of a major welfare system overhaul agreed with the Greens, the government would remove other excessive sanctions and ensure people could access what they were entitled to. And here is Carmel Sepuloni propagating more lies. Lies are OK on the Left. And when the media reporting are also Left, they enable them. Ms Sepuloni said some parents had good reason for not naming the other parent. "The most common reason for not naming the parent was often family-violence related and so, keeping that mind, it's almost like you're doubly punishing these women and their children. So, we're not going to allow that to continue." Your benefit payments may be reduced if you don’t legally identify the other parent or apply for Child Support. In some situations you may not need to do this, for example if you or your child would be at risk of violence. Work and Income can tell you more about this. So what is the real reason for the change? It's the imposition of radical feminism whereby women's rights are elevated above children's....with the added bonus of screwing the taxpayer. Arrived in my inbox. I didn't steal it. I have concluded our new prime minister Jacinda Ardern is clever stupid. She's quick, has good analytical skills and communicates well. There's no doubt she's clever. But she's stupid on how the world works and lacks thought-through principles and values. She bobs along on feelings and sounding good and thereby perfectly in tune with a media that emotes rather than reports and analyses. By her own account she grew up Mormon but jumped to socialism, becoming president of the International Union of Socialist Youth. She substituted one whacky religion for another. Her work experience is university and Parliament, first as a Labour Party staffer, then as an MP. She's driven by belief, not understanding. She can't argue ideas and must dismiss her opponents as uncaring or not yet enlightened. The shortcoming in opposing ideas is not the ideas themselves but the moral deficiency of those expressing them. When asked if capitalism had failed low-income New Zealanders, the prime minister-designate said: "If you have hundreds of thousands of children living in homes without enough to survive, that's a blatant failure. What else could could you describe it as?" "Hundreds of thousands of children living in homes without enough to survive." That means "hundreds of thousands of children" dying because of material want. It's nonsense. There would be UN relief missions and international popstars having concerts to aid New Zealand were her claim true. It's part of the media-manufactured Jacindamania that such rubbish claims are passed over. She cares, that's enough. It's as if her nonsensical hyperbole underscores the extent of her caring. "Yes, she might have been out by a few hundred children, and yes, they're not exactly not surviving, but her heart is in the right place." The problem of poor and neglected children is not the fault of capitalism but of welfarism. Generations of handouts have robbed too many of any sense of personal responsibility even for the care and upbringing of their own children. It's perfectly respectable now not to provide for yourself, nor house your family, nor commit in any way to your partner in child-making and to have children without the ability to provide or care or them. It's not your fault. You're a victim. Capitalism has failed. Ms Ardern's blinkered, if not blind, view of the world sees her advocating more of the policies causing the very problems concerning her rather than treating the cause. No facts, no analysis, no experience would shift her view. Her socialism is her religion. I'm a white, privileged male. I would say all of the above, wouldn't I ? I'm threatened by a female in charge and fear that my greedy exploitation of the poor is at an end. There, I dismissed my argument myself to save her supporters the effort. Labour happy for taxpayers to be "rorted"
Radio news has Carmel Sepuloni, Minister for Social Development, saying she will get rid of the penalty for not naming fathers of children who are supported by benefits. We knew it was coming and new information indicates NZ First is going to support the change. To reiterate on past posts, one of the major reasons mothers refuse to name fathers is to help them dodge child support. In the past Labour has acknowledged this. Heather Roy: When will he admit that this is just a rort so that fathers can dodge child support, and why should taxpayers always have to pick up the bill? Hon STEVE MAHAREY: It is a rort, and I have said time and time again in this Parliament that fathers must front up to their obligations, and we will make sure they do, as much as we can. But today Labour don't care what is costs the taxpayers. And apparently they don't care about children being denied their father's name on their birth certificate. Sepuloni will argue that the penalty isn't working. However the numbers who incur a section 70a penalty have fallen. In 2004 there were 19,443. It is infrequently that I come across an unknown word. Today however I was reading some hullabaloo (on both sides) about NZ sinking into the shadows of far right influence.An opinion piece was published by the Washington Post, "How the far right is poisoning New Zealand, " and duly responded to by Tim Watkin at RNZ. "Appealing to ethnically homogenous, overwhelmingly cisgender male voters with limited education and economic prospects who feel they’re being left behind in a changing world is nothing new for the far right." Cisgender. I had to google it. No surprises in a politically correct world that a new label has been attached to a group to categorise and explain with reference and respect to anyone who falls outside of it. My interest is, am I the only one who wasn't aware of this term? Am I such a dinosaur? You see I think my ignorance of this word is just part and parcel of my whole ignorance about how to really solve problems. In fact I can't even see the problem a lot of the time. Why are we trying to fix stuff that isn't broken? Why are we obsessing about problems in advance of them actually happening? Cisgender first appeared in 1994. Our newest generation is full of anxiety. While there have always been global scares, the rate they occur at seems to have sped up. Now our young are worrying about manmade global warming, the 'future of work', inequality, and often the very personal nature of their own sexual identity. Labeling stuff helps them try to sort it, to make sense of it. To feel logical about the illogical. Because so often much of what they spout is illogical - not all, but even thinkers struggle with the bombardment of paranoia engulfing them. It is totally redundant to explain to them that they have been born into a world that is more peaceful and more prosperous than any other time in history. 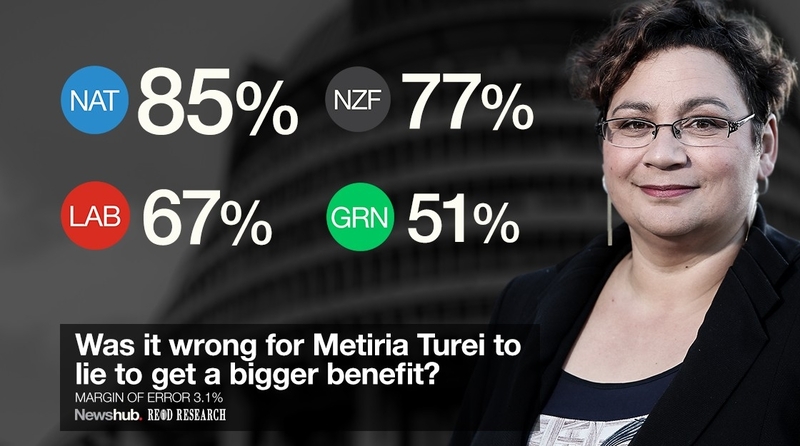 This Labour/Greens/NZ First coalition will be a different kettle of fish from the last Labour government. If you doubt that, here's a perfect example. Just heard on Radio NZ, Ardern talking about excessive sanctions in the welfare system like the penalty for not naming the father of a child. James Shaw then chimes in backing this concern. When Steve Maharey was Minister for Social Development he too was concerned about mothers not naming the fathers of the children - a growing trend. So he increased the existing penalty against opposition from the Greens. 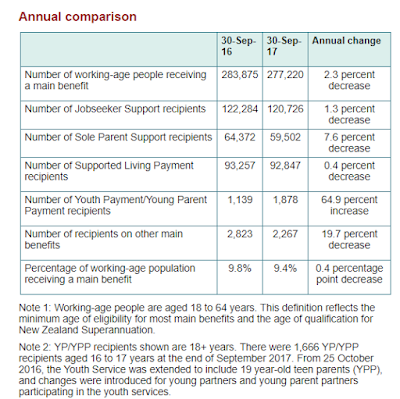 Most moderate New Zealanders back a welfare system that helps people in genuine need. I accept that. But they balk against being forced to be financial fathers to children whose biological fathers fly the coup. "The Social Security (Social Assistance) Amendment Bill goes part of the way to try to rectify this problem. 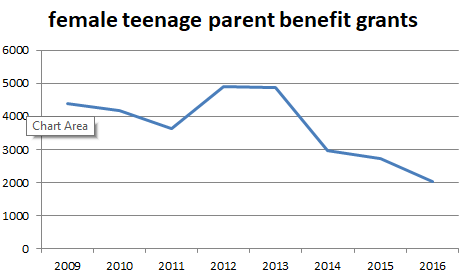 An increase from 5.6 percent in 1993 to 16 percent in 2004, indicates an increase in the number of liable parents who are failing to meet their responsibilities. One result is that it makes it financially harder for the custodial parent to move off the benefit, as that parent would not receive child support. The crux of the matter in sole parenting is how the children receive physical and spiritual support. 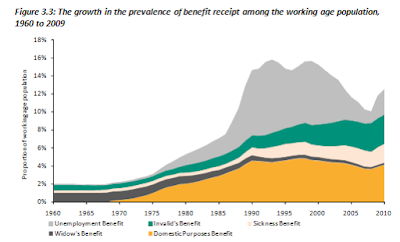 Is the benefit sufficient? 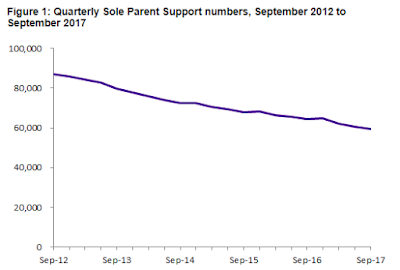 Will the sole parent become independent of the State? Many in today’s society would consider these questions to be quaint and old-fashioned, yet I say that we should look at where we have been, where we are, and where we are heading. 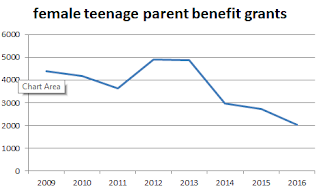 The bill increases the rate of reduction in the benefit, and does so as an incentive for sole parents to carry out certain actions so that the other parent contributes financially to the upbringing of the child. Currently, under section 70A of the Social Security Act the rate of benefit paid to the sole parent is reduced by $22 per week for each dependent child where that parent fails or refuses to identify the other parent in law, to make an application for child support, or to attend a hearing and give evidence at proceedings brought under the Child Support Act. 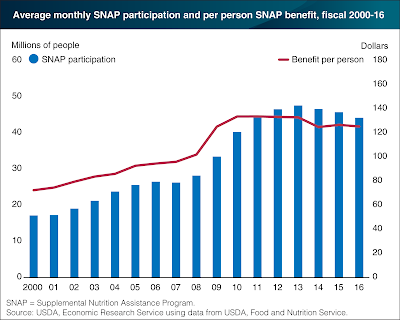 By July 2005 additional increases in the rate of reduction will be imposed, but this decision will be reconsidered should the beneficiary meet the section 70A requirements. Let us look at the responsibilities that we have as parliamentarians, because within the four walls of this Chamber we have the power to pass laws. But what about the citizens of this country? New Zealand First is not judgmental of people who find themselves in this situation, but it is the responsibility of Parliament to help them to become independent of the State. It is our responsibility to ensure financial support is given to the sole parent from the other partner, who, in many cases, is the father. On too many occasions we sit here and debate with each other, and among parties, about who did this and who did that, but our prime responsibility as parliamentarians is to govern so that freedom prevails and assistance is given to people in need. This legislation will be very difficult to implement, but New Zealand First supports it." So what will Winston do in 2018? Without NZ First support, Labour and Greens are stymied. What price is NZ First prepared to pay for power? A "Real Change" Government, determined to reverse the draconian policies adopted by a Ministry of Social development advised by neoliberal "experts", would call upon the experience and expertise of Sue Bradford and Metiria Turei. Those who find themselves astonished and/or offended by the thought of two such bitter opponents of this country's actuarially inspired and excessively punitive welfare system being asked to advise Jacinda's government on its root-and-branch reform should, perhaps, pause and consider just how radical (albeit from the opposite end of the political spectrum) was the "expert" advice that created it. What were those "draconian" policies? Trotter seems to have forgotten that the last Labour government also tried many ways to reduce welfare numbers. The Jobs Jolt is just one example that the far left bitterly opposed. Again a reality check is sorely required. Not only regarding Trotter's description of National's reforms but the idea that the new government would let Turei anywhere near it. Even I do not think the PM would be that stupid. "I'm intending to stay and critique these buggers pretty hard"
So said Steven Joyce. I hope he sticks to this. Explanations of policy concessions are now emerging and it appears National rejected those 'bridges too far'. 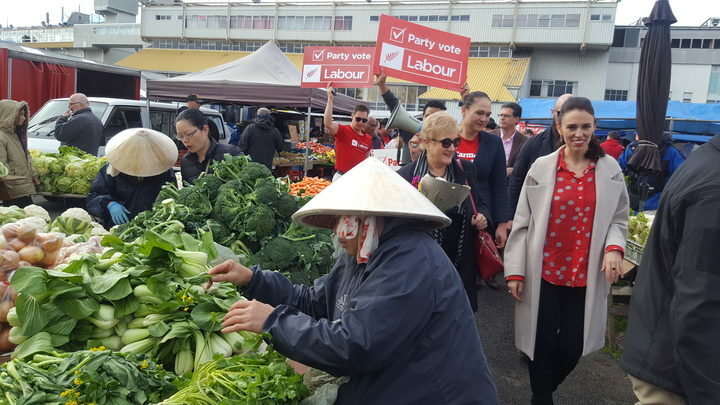 NZ First is also understood to have won concessions from Labour that National balked at, including work to progress a multi-billion dollar Northland port. The deal will also cut property sales to foreigners - another policy National balked at, warning it would send an unfortunate message to our neighbours and be in breach of trade agreements. Immigration was also crucial to NZ First's position - National rejected whole sale cuts. concerned about a labour shortage. The last point mirrors my major concern with the new government. New Zealand was built on immigration. I am an immigrant. The public services in particular - Health and Corrections I can personally attest to - are heavily supported by immigrant workers. Many rural sectors cannot operate without immigrant labour. 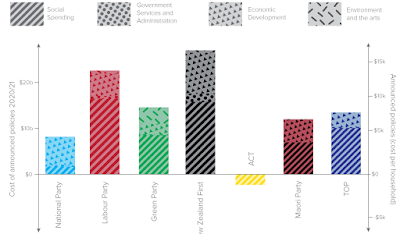 National could not support policies that would actively hurt the economy. Effort needs to go into explaining this, relentlessly. If you think I have a grudge against Ardern, you are partly right. She publicly ridiculed my research. But my problem with Ardern is mainly impersonal. It's just another battle in the war against dishonesty. She's told TVNZ's Q&A programme that leaving everything to the market simply hasn't worked for workers. "Everything" is not left to the market though. Working For Families subsidises employers. It allows them to pay their workers less (and the childless suffer as a consequence). Ganesh Nana, left-leaning BERL economist, was lamenting this subsidisation last week. But he never drew the correct conclusion. Abolish the state subsidies. Certainly Jacinda isn't going to. A state-mandated minimum wage is hardly descriptive of "leaving everything to the market". And she plans to raise it. Huge regulation/ compliance costs are hardly "leaving everything to the market". Those costs are reflected in wage constraints. They are passed down to employees and clients. Company tax, GST, rates, etc. 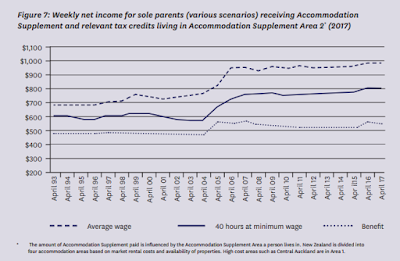 all dictate costs to the labour market. "Leaving everything to the market" is the most absurd statement. Oh, correction. There will be a more absurd statement shortly. Money on it. "When you have a market economy, it all comes down to whether or not you acknowledge where the market has failed and where intervention is required. Has it failed our people in recent times? Yes. How can you claim you've been successful when you have growth roughly 3 per cent, but you've got the worst homelessness in the developed world?" New Zealand was ranked as having the highest homeless rate per capita in a piece of analysis published by Yale University last month. 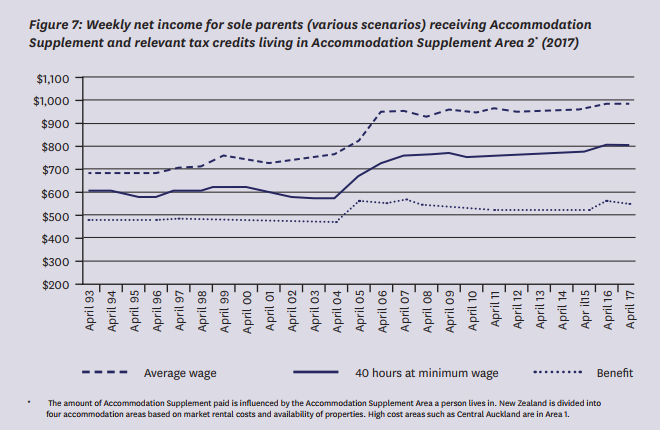 The analysis was based on an OECD paper which said 0.94 per cent of NZ's population was homeless. The lowest homeless rate in the OECD was Japan, at 0.03 per cent. The OECD paper said that NZ's high incidence of rough sleepers could partly be explained by its broad definition of homelessness. As Social Housing Minister Amy Adams says, if NZ measured homelessness the same way Japan did, it would be ranked among the top of developed countries. Japan only measures rough sleepers. According to the Otago study, New Zealand has around 1400 rough sleepers, or 0.03 per cent of the population - equivalent to Japan. Conclusion: Mostly fiction. The study does not compare apples with apples, so it is unfair to say NZ has performed worse than every other country on the list. Then the PM claimed that most people's incomes are "not keeping up with inflation...."
And over a longer period? It's going to be a long three years listening to fabrications, distortions and exaggerations ad nauseam. In the on-line media age, where both 'writers' and readers are seemingly insatiably thirsty for content, opinion pieces have become all about quantity - not quality. OPINION: As is well known, the MMP electoral system was created to ensure, as far as possible, that no party ended up wielding absolute power. So far you'd have to say it has worked exactly as intended. 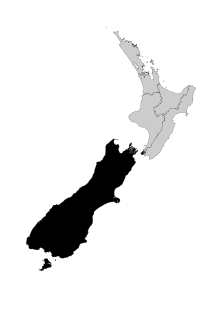 In the eight elections since New Zealand adopted MMP, no one party has won an absolute majority. They have all had to compromise and negotiate with smaller coalition partners. Now we find ourselves in the same position again. It should be familiar by now, yet something seems not quite right. What could it be? Oh, that's right – Winston Peters, the 7.5 Per cent Man, is back in the mix, and making the most of his intoxicating moment in the spotlight. He said he was out of phone range when Bill English called last Sunday. But what sort of politician goes bush, leaving his phone unattended, when he's in the hot seat and the country is waiting for a government to be formed? Then there was his excuse that he was waiting for the 384,000 special votes to come in, as if these had the potential to skew the election night result by such an order of magnitude that any preliminary negotiations with other parties would be futile. Peters wanted us to think he was delaying showing his hand out of respect for democracy, but I don't think anyone was fooled. We've seen it all before. If he truly respected democracy, he would acknowledge that his party pulled a measly 7.5 per cent of the vote and stop behaving like some sort of vainglorious potentate from Berzerkistan. Heck, he couldn't even retain his own seat. But this is Peters we're talking about. The "h" word that comes between "humidify" and "hummingbird" in most dictionaries apparently doesn't exist in the edition on Peters' bookshelf. Perhaps MMP works best when you have politicians who are prepared to be conciliatory, to compromise and to make concessions. The Germans seem to manage it. Unfortunately, Peters is not one of those politicians. Bluster and demagoguery, rather than consensus, is his default setting. Politically, he's a living fossil: a relic of Muldoonism, with all its bullying, divisiveness and ad hoc state interventionism. From the time he first entered Parliament in 1978, his career has been marked by fractiousness and petulance. He is a settler of scores and a bearer of grudges. 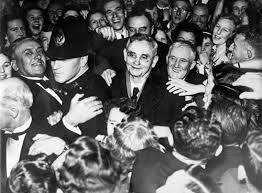 Some of his policy ideas – reinstating the old Forest Service, introducing a police "flying squad", legislating to ensure free-to-air coverage of major sporting events – appear designed to exploit the nostalgic yearning of his ageing supporters for New Zealand the way they remember it. Peters is a political Doctor Who, inviting us to join him in the Tardis for a trip back to a simpler time when an all-powerful state pretended it could solve complex problems with the pull of a lever. Look where that got us. I said at the start of this column that MMP is working exactly as intended. Does this mean it's a good system? Not at all. It's a dog that replaced a turkey. We weren't sure at the time that we wanted a dog. All we knew is that we desperately wanted to get rid of the turkey, and a highly motivated lobbying campaign convinced us – by a less than overwhelming majority, incidentally – that the dog would do the job better. And so we ended up with a system in which a vain and egotistical politician whose party got 7.5 per cent of the vote determines who the next government will be; and where every solemn pledge made during the election campaign is now up for negotiation in a secret process that voters have no control over or input into. We could, however, do a few things to improve the situation. For one thing, the media could stop stoking Peters' already rampant ego by refusing to give him daily opportunities to grandstand. And let's stop treating the post-election guessing game as some sort of diverting spectator sport or reality TV show. We're talking about the future of the country, for heaven's sake. Oh, and here's another suggestion that might negate the Peters problem altogether. You'd think that if any party "got" MMP, it would be the Greens. But at the very suggestion of a deal with National, they clutch at their skirts like startled virgins. Well, Labour has never invited them into bed. If promiscuity is the price for getting some runs on the board, perhaps they should forget about virtue and get their knickers off. And so it came to pass. The self-serving, bad-mannered, boorish, duplicitous, Winston Peters has once more fooled some of the people, thereby visiting an unwanted prospect on all of the people. Why just king-maker? Why not king? A group of Central Otago farmers are challenging Jacinda Ardern to visit their farms to discuss Labour's water tax plans. Well, one existing MP and one potential. Willie Jackson runs a charter school and now Kelvin Davis, an educator himself, says he will resign if two Northland charter schools are closed. "Repealing the legislation allowing for Charter Schools." More dissent amongst the Labour Party. 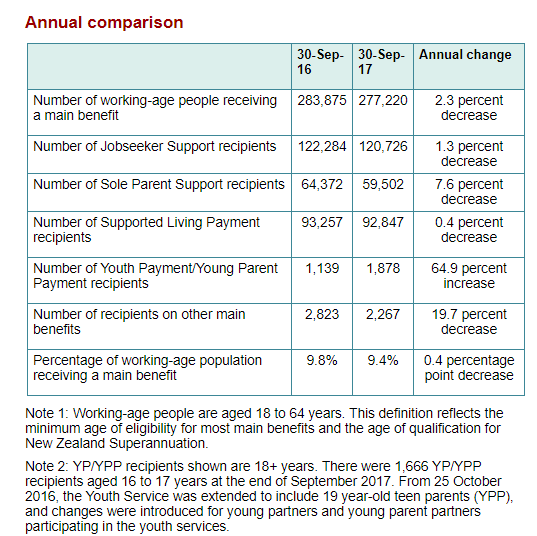 Labour Minister called dodging child support "a rort"
Labour raised the weekly section 70A penalty from $22 to $28 (I argued at select committee it would make no difference). Ann Hartley wasn't responsible for her son not being named as father of his and Turei's daughter, but on the balance of probabilities, she would have known. Paying child support is no small deal. The stance Labour took then, shows how politically difficult it will now be for them to continue their pact with the Greens. Andrew Little should be asked if he thinks dodging child support is a rort. Labour is promising to pay the poorest people in NZ over $3,000 a year to have a baby. That's the essential upshot of their Best Start package. Catch is, the payment only lasts till the child is two. What then ? Simple answer: have another baby. Stupid answer but simple. Their next bribe - which will have Winston downing doubles - is extra cash towards electricity costs for ALL superannuitants (and beneficiaries). Yes, that surprised me, even for Labour. They expect 80 percent take-up among pensioners. Who knows what that is based on but even at 80 percent there will be a truckload of people applying who do not need the money. Will this get a good chunk of the usual non-voters out? Because that is surely their overarching game plan. This is the question to be put to all of the anti voluntary euthanasia stalwarts who will emerge over the coming months. Thank goodness David Seymour's bill has been pulled from the ballot.